This castle is intended for the use of toddlers only. It had a jumping area, slide and ball pit area (balls are included in rental price). 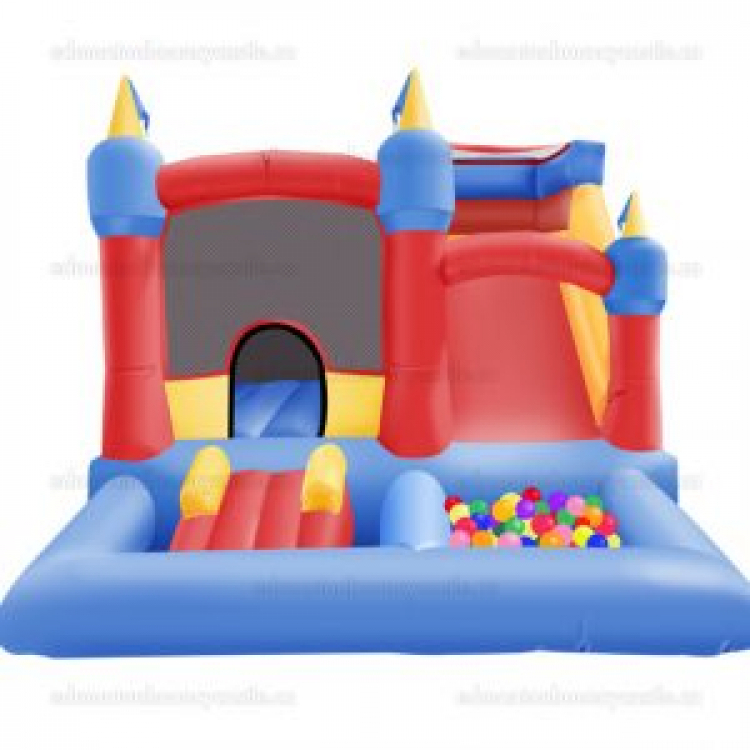 The bouncy castle is 4m x3m.